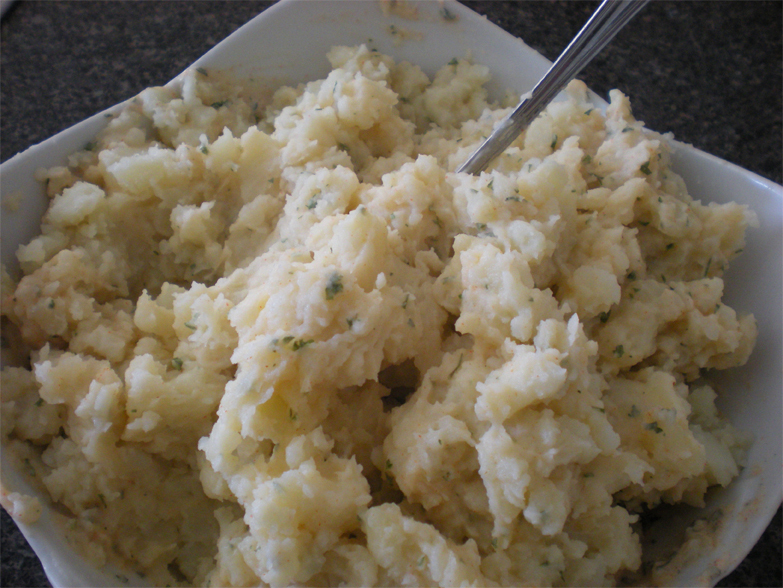 Tired of mashing potatoes? The knife is your friend. Here’s what you do. Peel and wash the potatoes and cut them into bite sized pieces. Don’t worry, there will be no raw potato eating going on. This is just so they will cook faster. Fill your pot less than halfway with water and get your steamer going. I never boil potatoes when I’m planning to ‘mash’ them. I throw them into a steamer. This is because I don’t actually mash them at all. 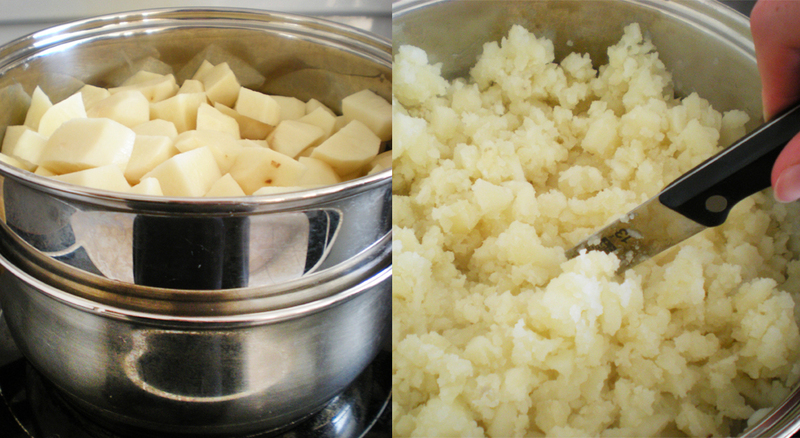 Once the potatoes are in the steamer, sprinkle them with 1 teaspoon salt and give them a good mix. Turn the heat on high. Once the water has started boiling, let the potatoes cook for about 15 minutes. 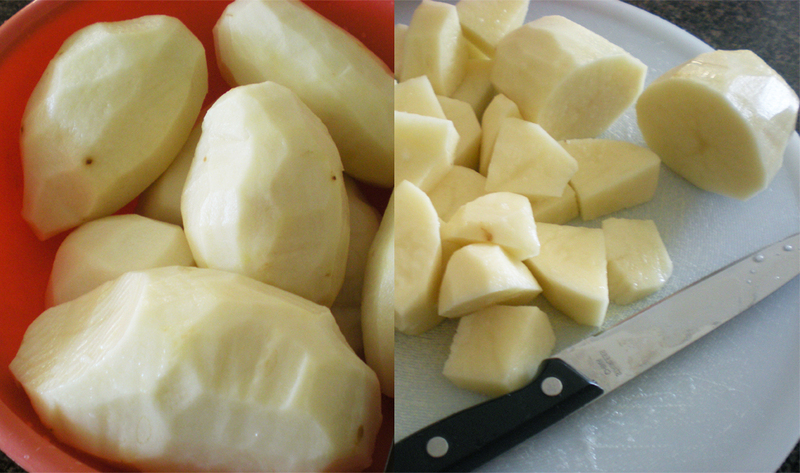 Get a knife and start cutting the potatoes right in the pot. Don’t think too much about it, just give them a rough cutting. Do this again when the potatoes have been cooking for about 40 minutes. 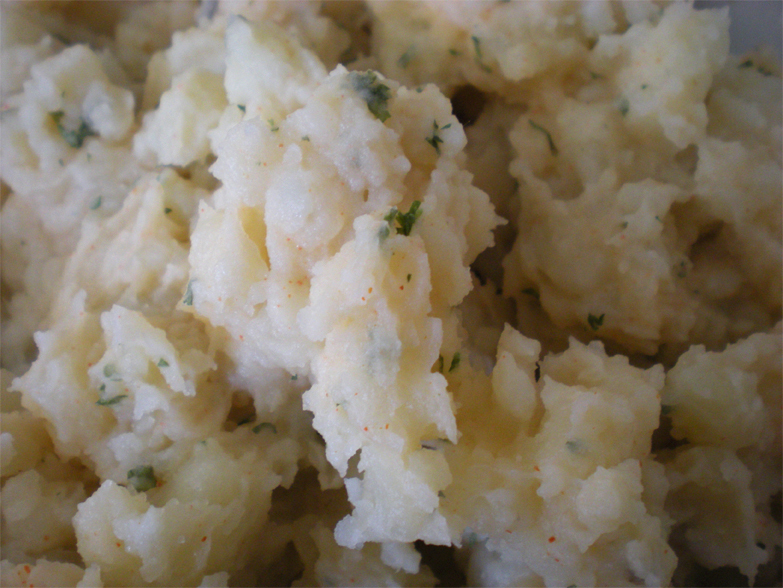 This time keep cutting until the potatoes resemble mashed potatoes. At this point the potatoes are done cooking. 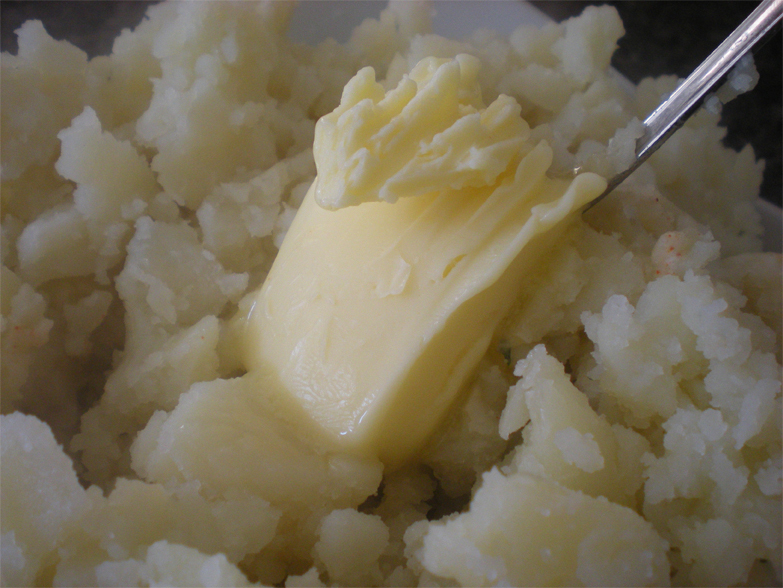 They will be soft and fluffy, especially because you have cut them, not squished them together with a masher. Most of the time I love potatoes plain, with just salt and butter, but if you’re feeling cheeky, give this sauce a try. 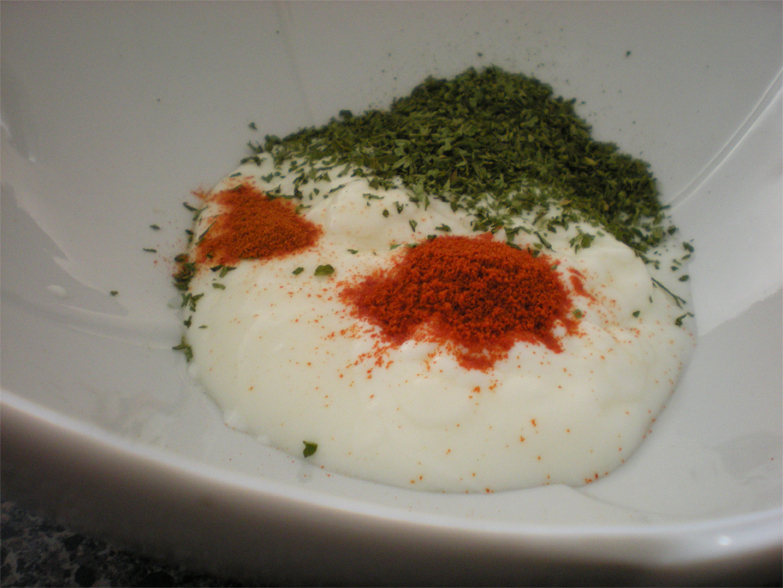 In a large bowl, take the 3 tablespoons of sour cream, 1 teaspoon salt, 1 teaspoon paprika, 1 tablespoon parsley and a pinch of cayenne pepper. Give it all a good mix until it looks like this. 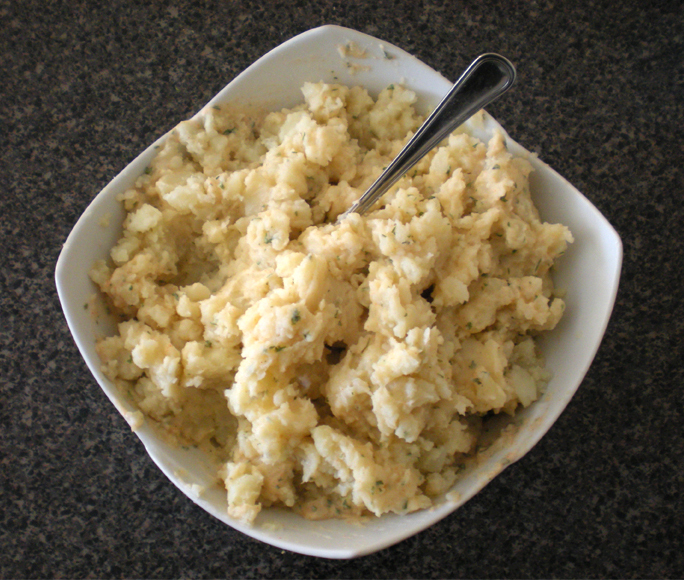 Throw the potatoes in the bowl with the sauce and mix. 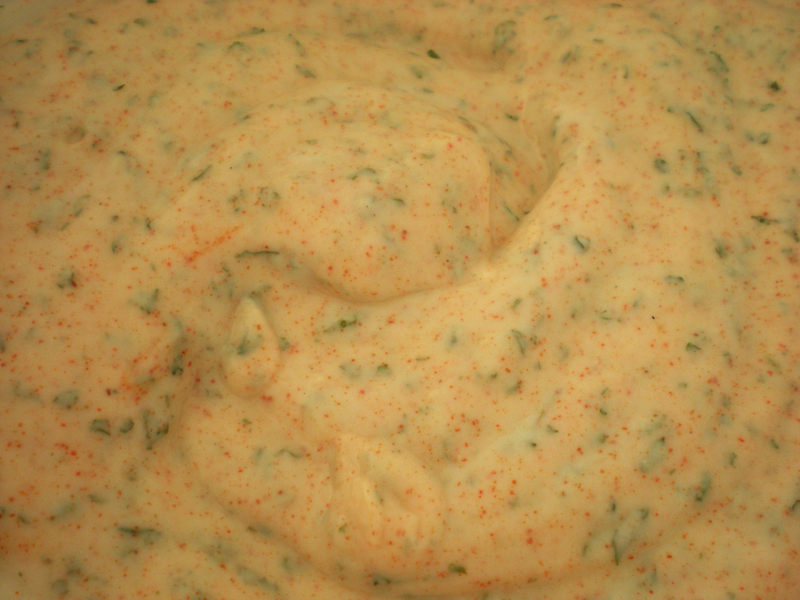 Add a tablespoon of butter and mix that in too. And there you have no-mash mashed potatoes.